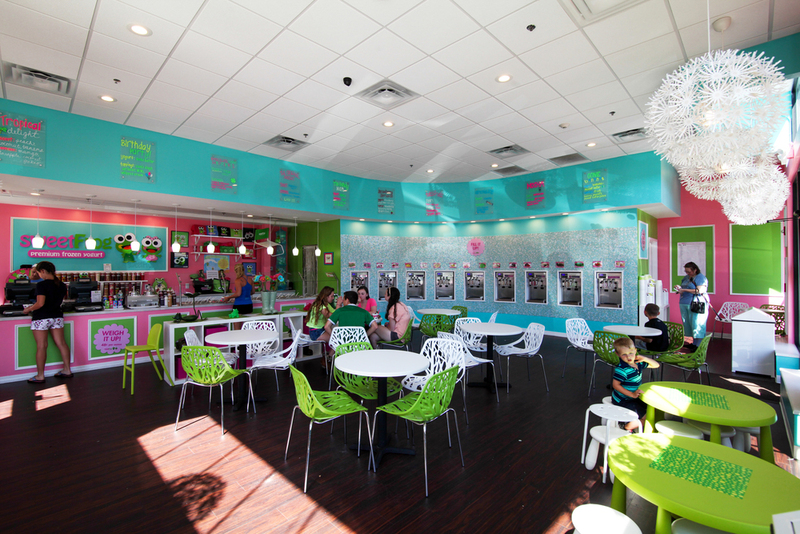 Founded in 2009 with a single store, Sweet Frog Frozen Yogurt has grown to over 215 stores in 25 states in the U.S., with additional stores located internationally in the Dominican Republic, the United Kingdom, and South Korea Highland Development served as general contractor for Sweet Frog's first Massachusetts location. Lacking a finishes spec, Highland worked with the franchise owners to develop an interior and exterior finish package that fit the brands vibrant look. The result was a colorful, functional and fun space that fit into the plaza's nautical cape theme. Some interior features include a custom water cooling system for the yogurt machines, and chalk board walls for children to draw on.